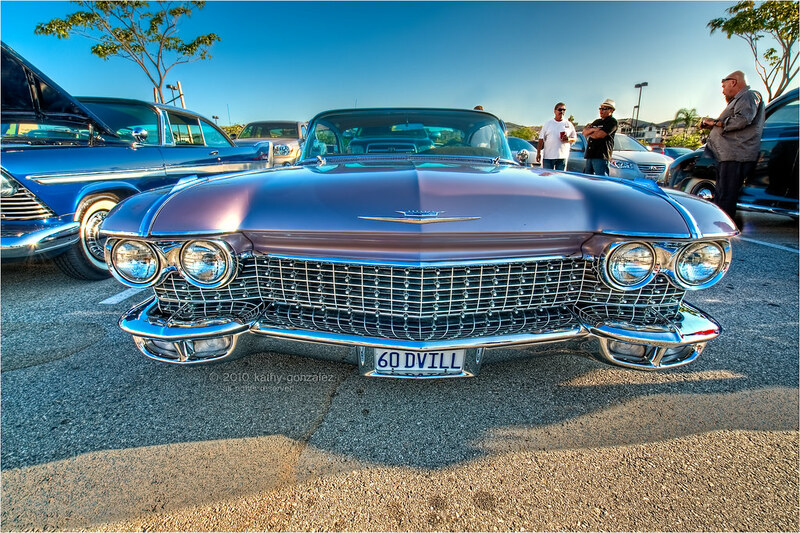 here's the grille of a 1960 cadillac deville. 3d coming at you. belongs to this car i posted way back when i started this blog. owned by the guy with the hat there (hi reine). i hardly ever see it out at the shows, so i took the opportunity to do several angles on it. i have a couple of other shots i should probably work up that would be interesting to show you sometime; just takes time, and i don't have a lot of it lately.